I've still been buying (and lurking), but haven't posted in several months. 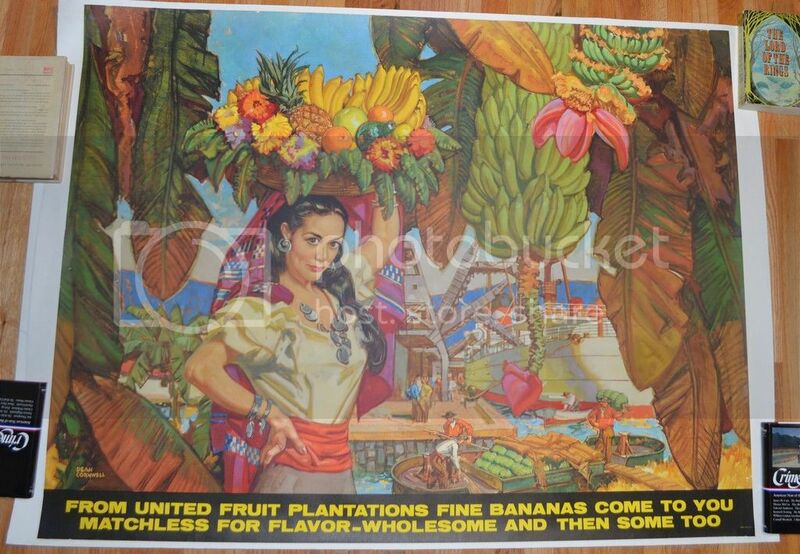 I recently got this awesome banana poster. I don't even like bananas! Hi Deke, What year is the banana poster? The auction listing said ca. 1945. I think mid-1950's is more likely. I haven't found an authoritative date unfortunately.